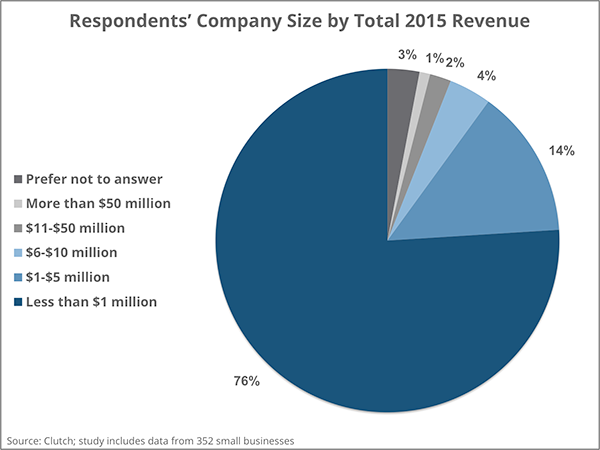 Overall, small businesses have been slow to adopt mobile apps. 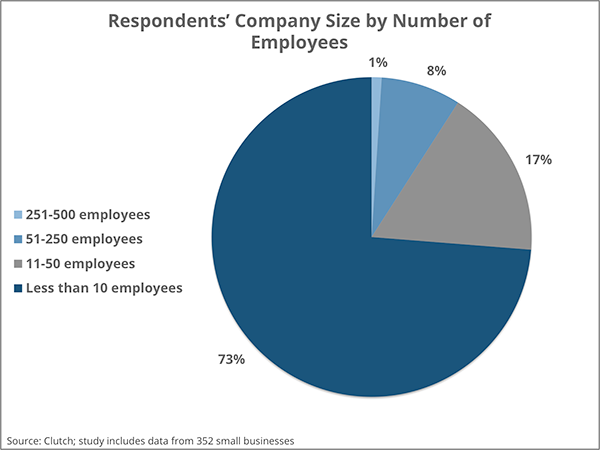 Currently, less than a quarter of small businesses have a mobile app and nearly a third are unlikely to build one. However, 27 percent plan to build a mobile app in the near future, and 22 percent are unsure, but still could be convinced to build a mobile app in the future. Viktor Marohnic, the CEO of the app builder Shoutem, confirms this movement toward a stronger mobile app presence. With the rise of mobile, small businesses must find ways to become visible on mobile devices and to create mobile optimized interactions, in order to remain competitive. 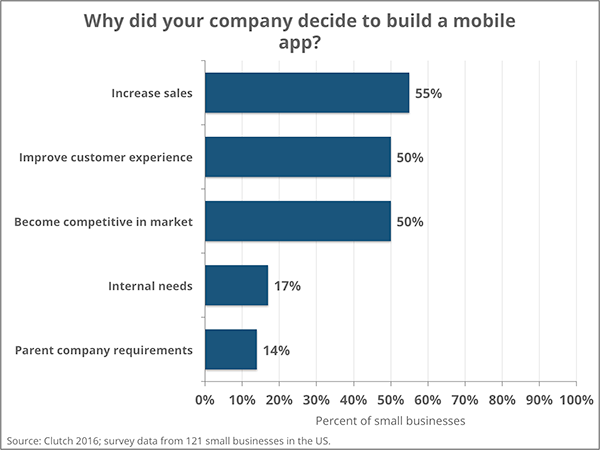 Zach Cusimano, the COO of the app builder Bizness Apps, contends that small businesses will turn to mobile apps to meet these needs. Praveen Seshadri is the founder and CEO of AppSheet, an app builder platform that specializes in building internal facing and productivity apps for business purposes. 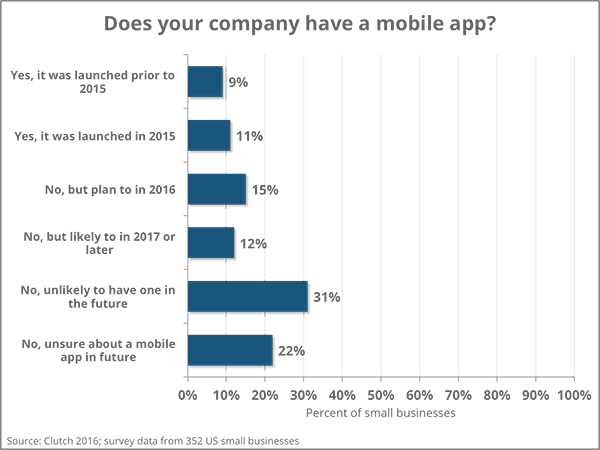 He bases his small business mobile app predictions on the adoption of these internal business apps. While the businesses in the mentioned industries typically build mobile apps to appeal to their customer base, there are a variety of businesses that benefit from building internal apps as well. Praveen Seshadri explains who the 1,500 unique users are that sign up to use AppSheet every week. With an assortment of different businesses building mobile apps, what are the reasons behind the movement? 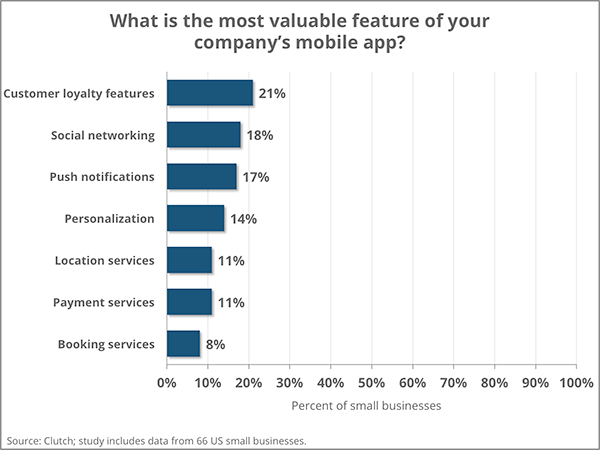 Mobile apps provide diverse advantages to small businesses that other technologies cannot match. 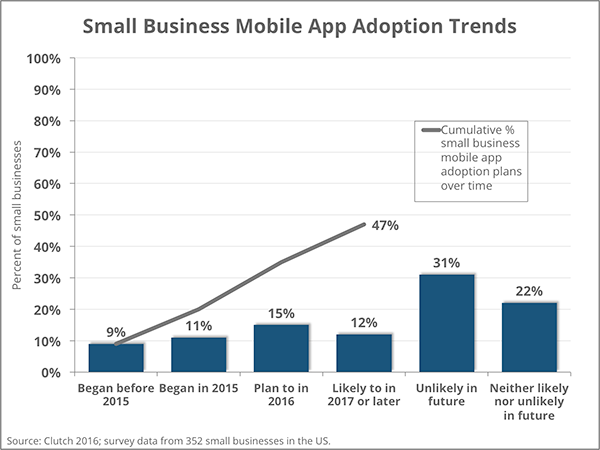 With the advantages and the easily accessible platforms available to create a mobile app, it looks as though it is highly possible that small business mobile app adoption will dramatically increase in the next few years.